Why Choose Supaproofread To Edit Your Work? You've worked hard to produce a document that meets your communication needs, whether you're writing a brochure for your customers, an essay for your professor, or a novel for your readers. You need every word to be correct, every sentence and paragraph to flow and be consistent. So why go over your document several times to spot those mistakes? Why not send it to us at Supaproofread.com to spot check? When you have spent many hours toiling over your direction or plot, the words will seem to make sense and spotting mistakes will become more difficult. Our proofreaders see past the content of your work, they can spot the misspellings, round up the stray thoughts and smooth over any unusual phrasing. The very best writers hand in their manuscripts for someone else to review, knowing that a fresh pair of eyes can spot items that they would never have seen themselves. Supaproofread has proofreaders and editors who come from a wide range of backgrounds, from English to Economics and Marketing to Nursing. We distribute the work you provide to a proofreader or editor who specialises in what you require, whether this involves basic spelling and grammar or clarity and consistency. With our instant online quote feature, you know what you are paying for before submitting your document. By entering the number of words in your document, the required turnaround time and the exact service you require, you will find out the exact price you'll pay. No emailing samples of your document or complex calculations –' our system is quick, easy and efficient. If you can wait a few days for your document, you can save yourself money. Our turnaround times range from 12 hours to 1 week, and offer substantial savings and discounts on longer documents (above 100,000 words). We pride ourselves on the quality service we offer and are confident we offer competitive proofreading & editing prices. At Supaproofread, we offer more than just a proofreading service. We offer more substantial editing of your document, so you are able to see how your work can improve this time, and what you should change in the future. We also offer free advice and resources for visitors to our website, offering advice even if you don't want to use our services. However, we are sure that after you have read our advice you'll want a Supaproofread proofreader to check your text! 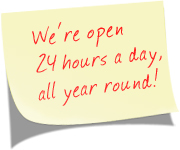 Being internet-based, we're available 24 hours a day, 365 days of the year. All you need is an internet connection and an email address. We work around the clock to meet your requirements and can return work to you in a matter of hours. Don't just take our word for it – take a look at our Client Testimonials section. Let Supaproofread help you improve your writing today!